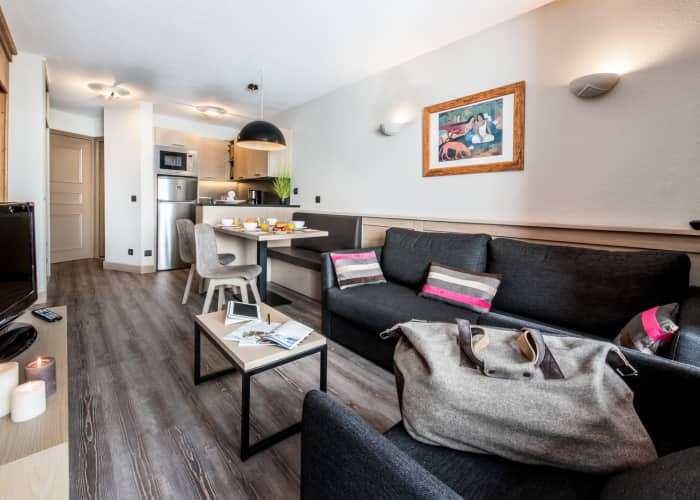 Thanks to its superb location, smack bang on the Plein Sud piste in Val Thorens, the luxe, ski in ski out Village Montana welcomes thousands upon thousands of guests through its snow-adorned doors each year. 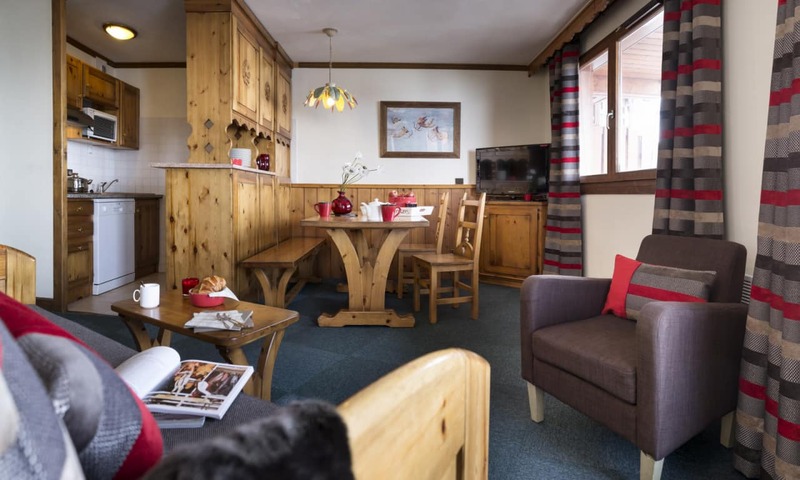 High quality accommodation and great facilities are par for the course when you stay at the Village Montana. 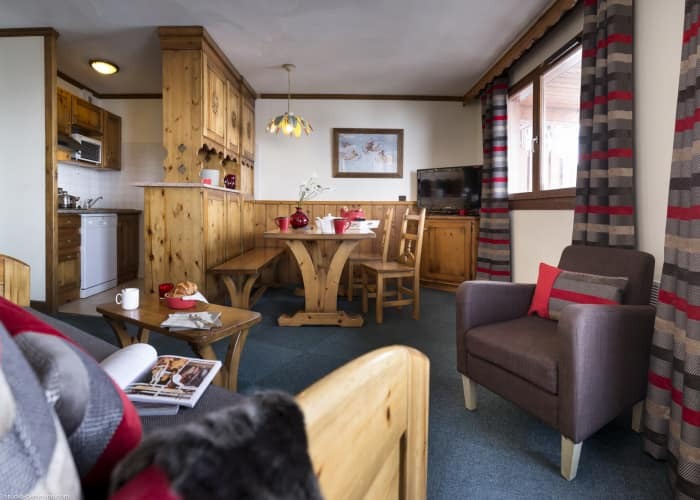 Apartments are bright, spacious and beautifully decorated, and come equipped with a kitchenette, satellite tv, free wi-fi, and a balcony, which provides spectacular views of your snowy surrounds. 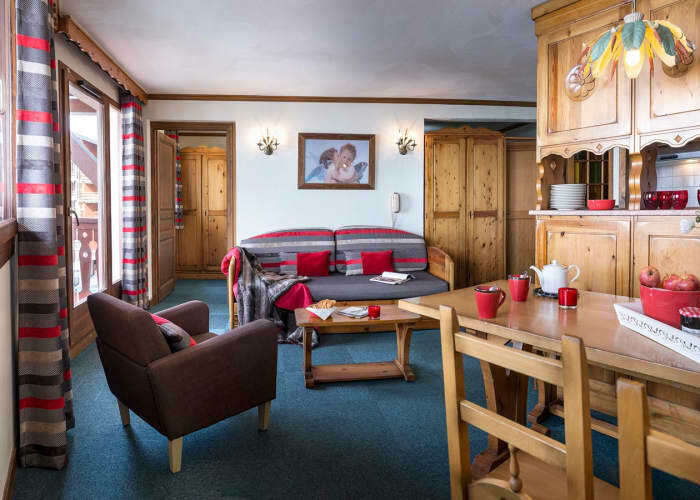 Set yourself up for a day on the slopes with a visit to the residence’s bakery, where you can buy your freshly baked baguettes, croissants and pastries. Enjoy a slap up lunch at Le Montana, a fantastic brasserie offering up hearty fare made from the freshest of ingredients, or treat yourself to some fine, gourmet dining, in the plush setting of the L’Epicurien restaurant. There is also a luxe spa on site – the perfect spot to unwind, rejuvenate and tend to those tired muscles after a day on the slopes. Dive into the heated indoor swimming pool, or switch off in the jacuzzi, sauna or hammam. The modern spa also offers an array of superb beauty treatments, sure to have you looking and feeling your best! 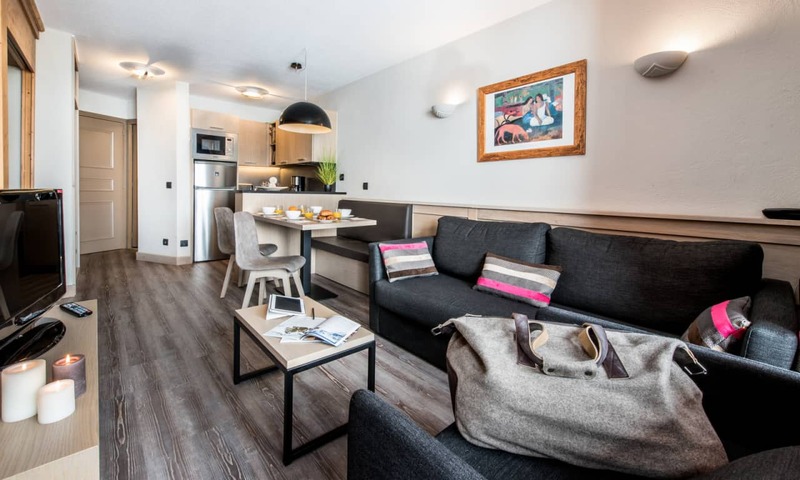 Sitting pretty on the Val Thorens slopes, the Village Montana is close to everything you could possibly need during your stay. 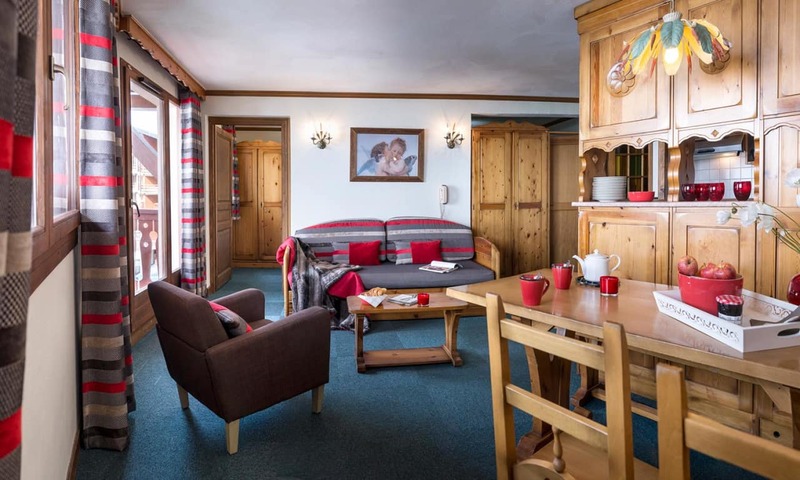 Within a couple of minute’s walk from your door, you’ll find a ski school, a nursery slope, a children’s playground and a ski lift, and a short stroll will take you to the resort’s centre. The maximum occupancy in this apartment is 4 people, including infants and children. Maximum of 1 baby cot possible. The maximum occupancy in this apartment is 6 people, including infants and children. Maximum of 1 baby cot possible.